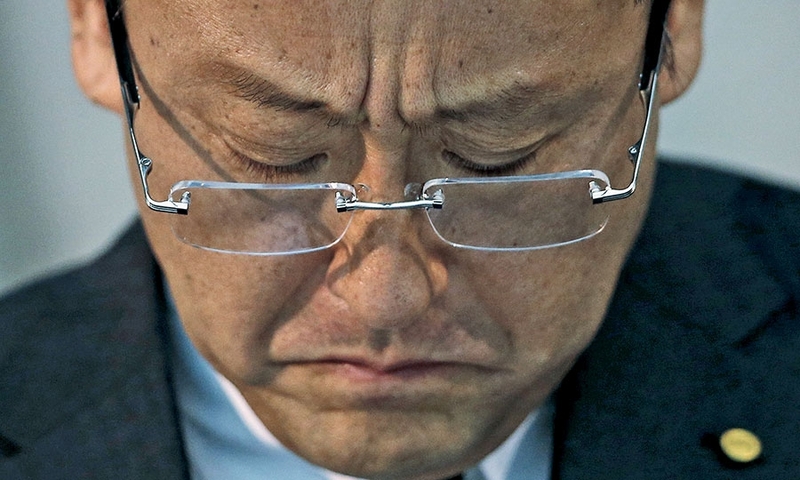 Toyota President Akio Toyoda shown during a news conference after the arrest of global communications chief Julie Hamp for allegedly importing a narcotic painkiller in apparent violation of Japan's strict drug laws. Said Toyoda: “Ms. Hamp is a very important, trustworthy friend.” While Hamp wasn't charged, she resigned after authorities released her. 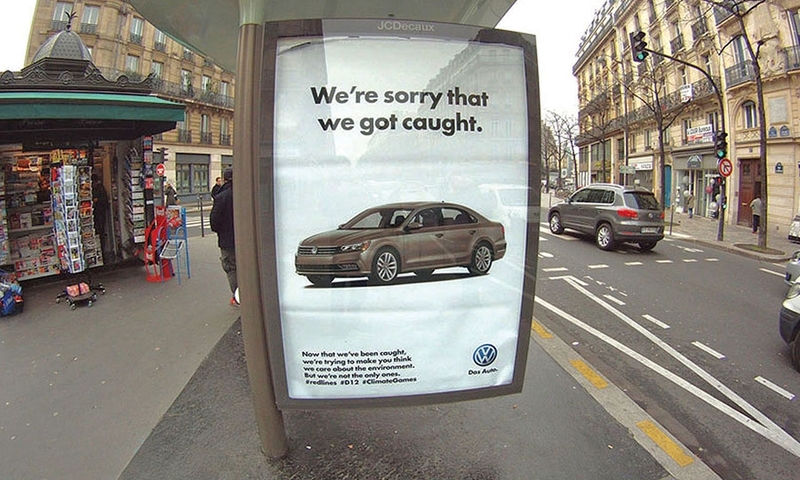 It looked just like a real Volkswagen product ad, until you looked closely at what it said: “We're sorry that we got caught.” The fake ad, a reference to VW's diesel emissions scandal, was one of more than 600 such displays that appeared in December in Paris to coincide with the United Nations global climate change talks. 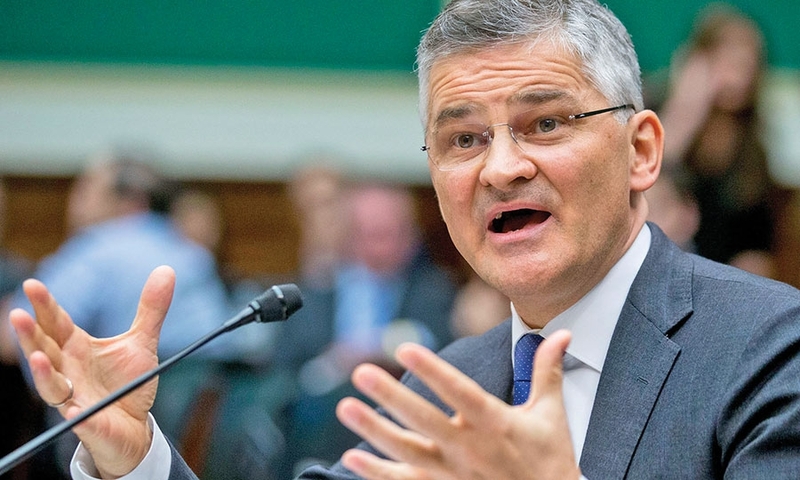 Volkswagen of America CEO Michael Horn speaks to members of a congressional oversight subcommittee in October after it was disclosed that the company cheated on diesel emissions tests. 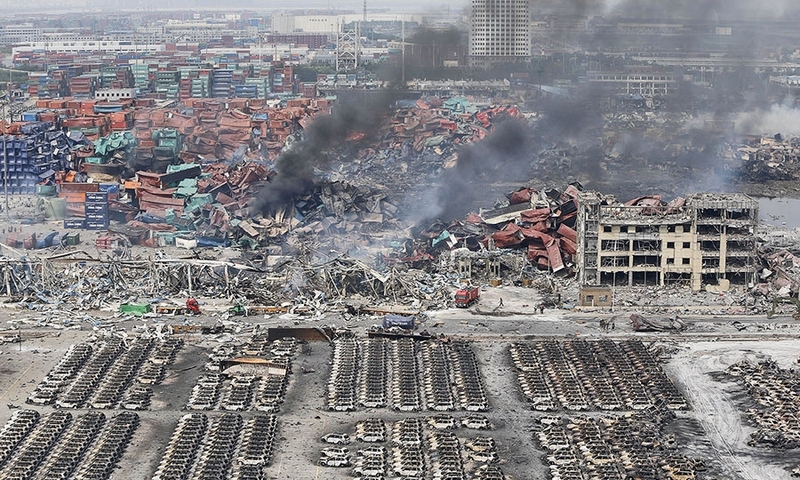 In August, global automakers such as Volkswagen, Hyundai and Toyota scrambled to assess the damage from a pair of chemical explosions that ripped through the port area of Tianjin, China's largest auto import hub.